Greece just took another U-turn. Mr. Bitcoin a.k.a. Alexander Vinnik is not going to France nor to the United States; instead, he is now possibly going to his homeland Russia. The Supreme Civil and Criminal Court of Greece on Friday has overruled previous decisions and approved to extradite the alleged owner of the now-defunct Bitcoin cryptocurrency exchange BTC-e Vinnik to Russia. Several Greek courts have previously ruled in favor of all three countries, Russia, France, and the United States, where Vinnik is wanted to face different criminal and hacking charges. 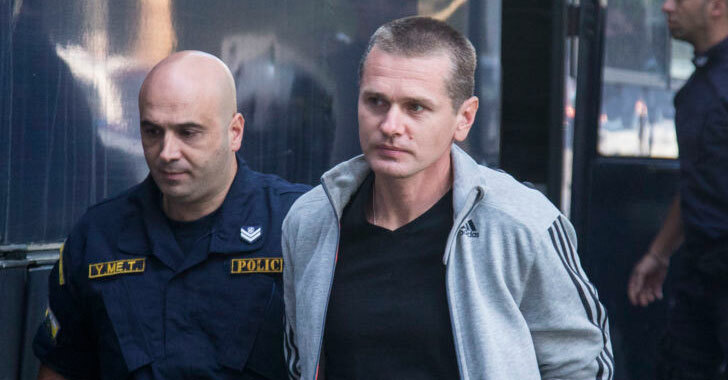 Vinnik, 38, has been accused of operating BTC-e cryptocurrency exchange, which was shut down right after his arrest by Greek police in July 2017 at the request of the U.S., where he is convicted for fraud and money laundering more than $4 billion worth amount of Bitcoin (BTC) for criminals involved in hacking attacks, tax fraud, and drug trafficking. Vinnik is also accused to the failure of the once-most famous Japanese bitcoin exchange Mt. Gox, which was suddenly shut down in 2014 following a series of mysterious robberies, which totaled $375 million in Bitcoin. The U.S. authorities believe Vinnik "obtained" funds from a hacker or insider who stole Bitcoins from Mt. Gox and then sent them to a bitcoin wallet controlled by him and intentionally laundered the money through his BTC-e-service over a period of three years. However, in July this year, a Greek lower court agreed to extradite Vinnik to France, after the country charged him with defrauding thousands of people worldwide, including 100 in France, through his bitcoin platform and laundered 133 million euros using 20,643 bitcoins. Meanwhile, the Russian government also intervened in the case, asking the Greek government to extradite the Russian national to his home country, where he is facing around $10,000 worth of fraud charges—very low as compared to accusations made by other countries. Now, the decision of the Greek Supreme Court published Friday upheld a lower court ruling, allowing Vinnik to be tried in his native Russia for his alleged fraud crime. The Supreme Court is scheduled to consider the French extradition request for Vinnik again on September 19. However, reportedly Greek Minister of Justice can still overturn the Supreme Court ruling and decide where Vinnik ends up—the United States, Russia or France. Meanwhile, Greek authorities are also investigating Vinnik for possible cyber crimes in Greece, which might also delay his extradition.